We looked at those ultra-lightweight fishing shirts and decided to put our own spin on them. 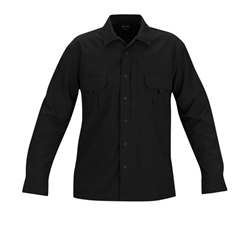 The PROPPER Sonora Shirt is built to withstand brutal heat without sacrificing tactical features. Breathable nylon ripstop fabric wicks moisture from the body, while strategically placed vents in the front and back keep the air circulating around your core every time you move. Built to enhance your performance in the most heated situations.